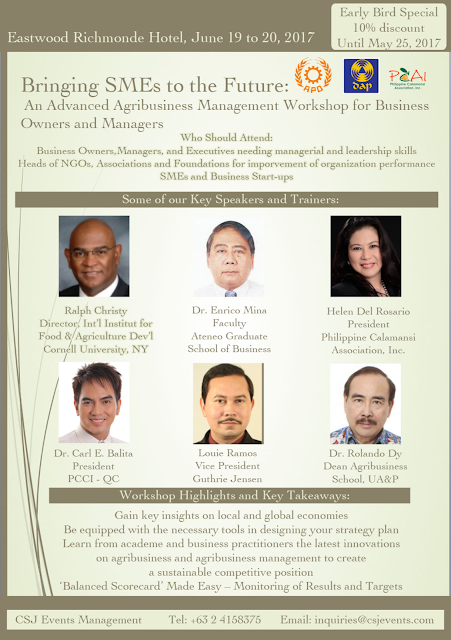 The workshop is designed to enhance the participants' knowledge of the recent and emerging developments in agribusinesses at the global and regional levels, allow them to understand and learn best practices in managing business issues and sharpen skills in formulating strategies to achieve higher productivity and transform their organizations to global standards. 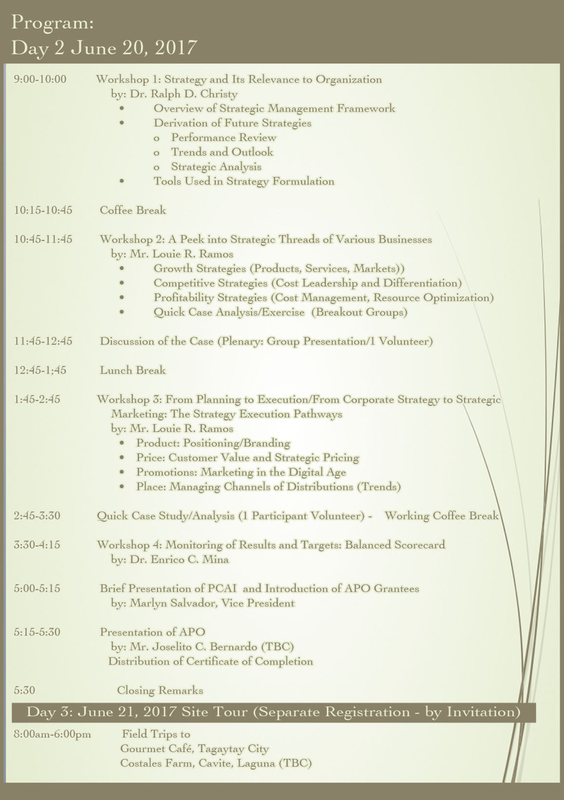 PCAI held its annual Christmas Party last December 2, 2015 at Balete at Kamias in Quezon City. 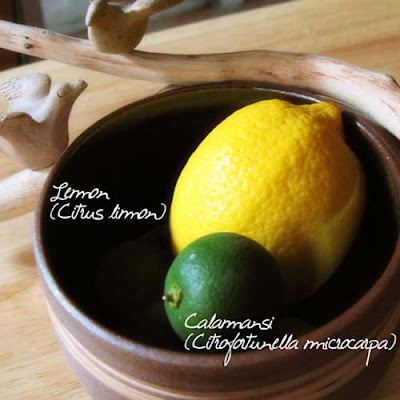 Go for calamansi when you want to cool down from the tropical heat of the Philippines. 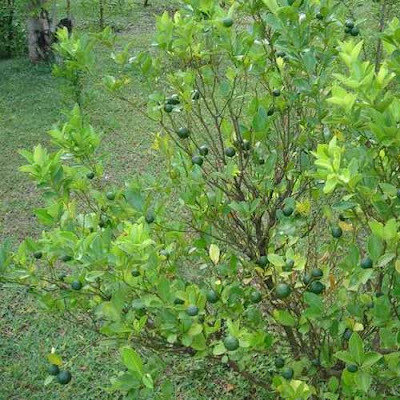 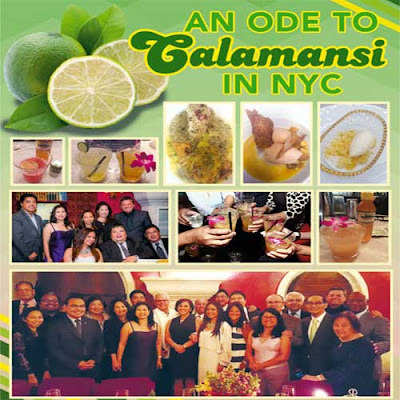 Abundant and widely available, the nutritious calamansi is a mainstay in the selection of juices here in the country. 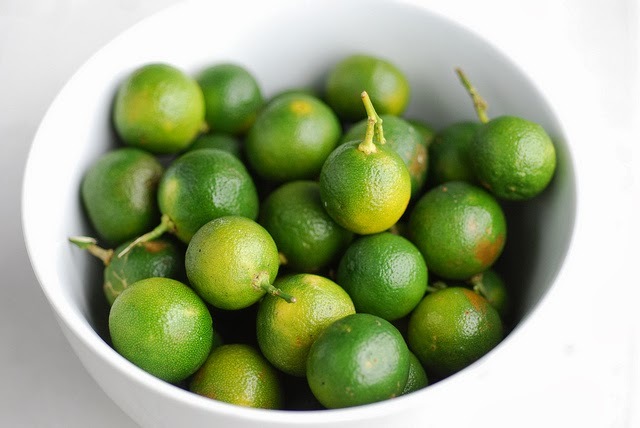 A great alternative to the popular lemon and lime, the calamansi localizes the citrus experience to excite even the most discerning palettes. 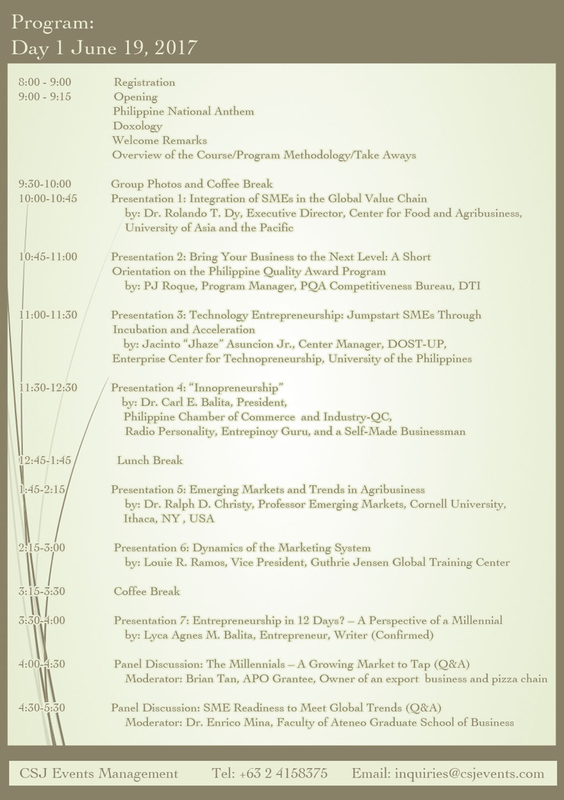 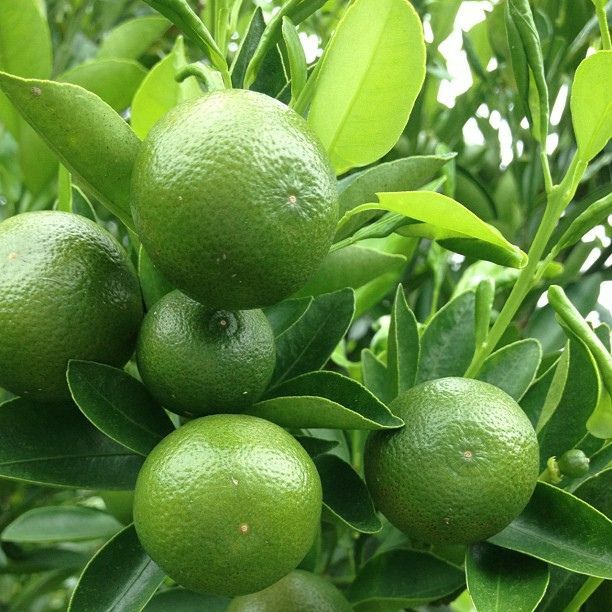 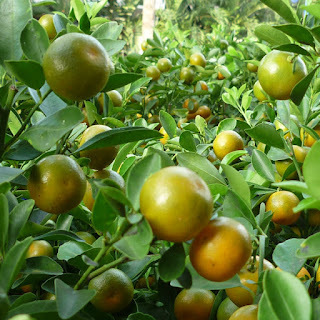 Resources here to encourage calamansi farming in the Philippines by PCAI.